For a lot of people, their garden plays a massive part in their life. People use this space to play with their kids, socialise with friends, and as an escape from normal life. This part of your home is just as important as the rooms inside. And, so, it makes sense that a lot of people want their garden to look fantastic. It’s a shame, then, that so many people ignore the furnishings they have outside. Instead, it’s easy to use the cheapest or easiest to come by options to have available. It doesn’t have to be this way, though. 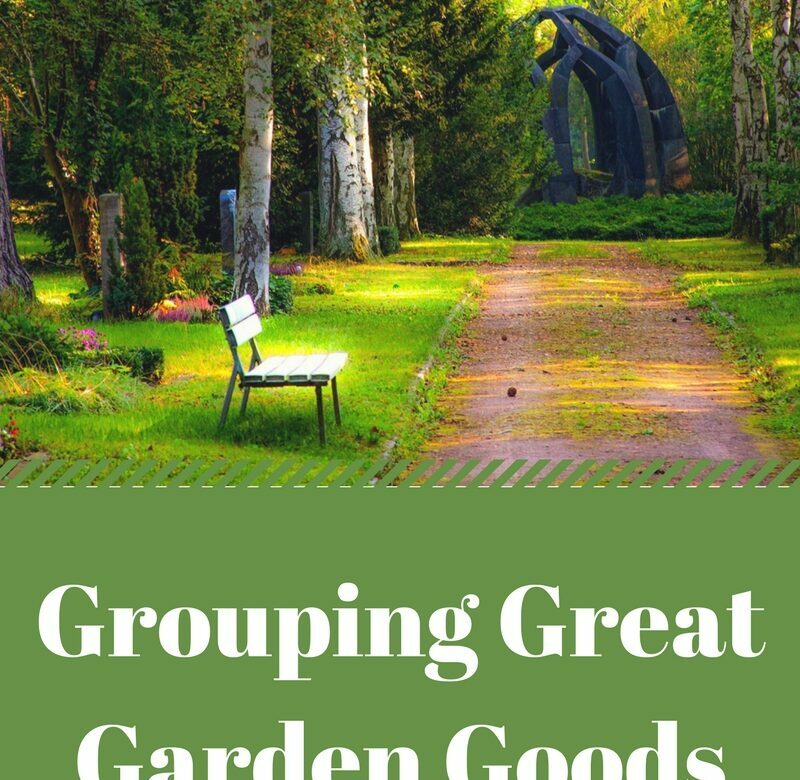 To help you out, this post will be going through a process to help you to start choosing the best furniture for your garden. Like the rooms inside your home, you should be aimed to create a theme with the garden. This all starts with the materials you use to adorn it. For example, a lot of modern gardens mainly use metals like aluminium and steel. But, gardens with more traditional styling will often use wood and stone for their decoration. You have a wealth of different materials to choose from, with loads of different looks. Of course, you don’t have to have an exact material throughout the entire garden. But, you do need to have options which complement one another. For example, a metal table with wooden chairs would look strange. But, having a wooden table set with metal lanterns surrounding it would look great. A large part of this process involves looking at colour. The colours in your garden will contribute a great deal of the feel of the space. Lighter colours will inspire feelings of summer and warmth, whereas darker ones could feel colder and less inviting. Having a good balance between light and dark is very important. And, you should be using the colours you already have as a guide. For example, if your garden is filled with purple flowers, having some light wooden furniture would be nice. Or, if your garden is occupied by mainly yellow flowers, some dark metal would do the trick. There are loads of places to help with inspiration in this area, like Instagram and Pinterest. So, there’s no excuse for having a boring garden. With the right colours and materials in mind, you’re ready to put together the final pieces of the puzzle. There are loads of different styles for tables, chairs, and other garden furniture. And, it’s surprising just how much a different style can change your garden. Like your colours and materials, the styles inside your garden should be consistent. For example, it would look weight to have a mix of Victorian garden chairs and a modern table. So, it’s important to make sure these things match. hankfully, modern design has come a long way over the years. And, now, it’s possible to get your hands on furniture in hundreds of different styles. You can get some great inspiration in this area with some simple research. Most outdoor furniture stores will have their options on display. This gives you the chance to compare styles and find ones which work well with each other. It’s alright to have more than one style, as long as they match. At this point, you should have a good idea of what your garden needs to push it to a new level. You’ve explored styles, materials, and colours. And, then, you’re almost ready to start buying some items. But, of course, you still need to figure out exactly what you want. This is going to take some work, though. To start, you should be looking for inspiration. Furniture stores, social media, and other people’s gardens are the best places for you to find your ideas. You don’t have to pay to get to these places, giving you a great resource to find new options. And, they’re always being updated. Spend as much time as you can searching for this sort of inspiration. Once you have a great garden, it will all be worth it. As you find options you like, you should make notes of them. But, you’re still not ready to start buying, yet. Instead, you need to do some more research. Finding the best prices for items like this will require some patience. There are loads of review and comparison sites out there which are dedicated to helping customers to find the best products. Using tools like this, you can find the very best prices for the furniture you want. Of course, the options from each company won’t be identical. So, to get the best deal, you may have to make a couple of compromises. This sort of effort will give you the best chance to find items which match your needs. There’s still more, though. Once you know exactly what you want to buy for your garden, you’re ready to start making it cheaper. Modern shopping is more of a game than ever, nowadays. Most stores will have constant promotions running, with different ways to save money on their goods. To find these deals, you have to do some legwork. Simple Google searches for the item you want might be enough. But, it could also be worth checking the social media of the companies you’ve chosen. Sometimes, companies will also have sales directly through their own site. Taking the time to visit Bridgman for offers today could save you a whole lot of money later. Buying directly like this cuts out the costs of shipping and the store’s bills, opening the doors to greater savings. Of course, you won’t be able to save on everything. But, there’s a good chance that at least a couple of your choices will have reductions. Hopefully, this will give you a good idea of what can be done to ensure you have the best possible furniture within your garden. A lot of people ignore this area, choosing to go with the cheapest options they can. But, this part of your home is a very important one. 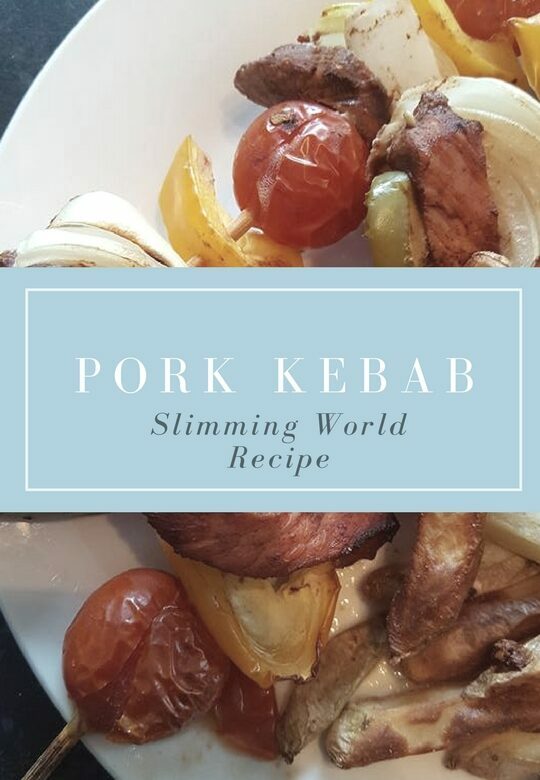 So, it’s well worth putting the time in to find the best options. Always remember to do plenty of research before changing any part of your home. It’s easy to miss the best chances, simply because you didn’t do enough. Camping in the Cotswolds, hiking in the Peak District or crabbing in Cornwall – a British summer holiday with the family is certainly a highlight of the year. The break from routine and the brand new scenery revives and refreshes each and every one of us, and best of all, the quality time together provides ample opportunity to make memories together. So, with the summer holidays fast approaching, here’s how to prepare for yours. Whether you’re heading to Devon, Cornwall, the Lake District or somewhere else altogether, you’re bound to have a lovely time holidaying in Britain. But, you’ll get the best from it if you plan some activities in advance. (If you haven’t yet chosen and booked your summer holiday, the Telegraph has a helpful guide of some of the best locations for 2017). Begin by researching your destination to see what’s on offer. Trip Advisor is often a great resource if you want to see what locals and visitors recommend getting up to, and you can also find family-friendly restaurants and hotels if you’re in need of suggestions. The National Trust also have properties and grounds all over the country, and they’ll be putting on lots of fun activities for children and adults during the summer holiday. So, consider buying a family membership (if you don’t already have one) in preparation for your summer holiday. A British summer holiday means you won’t have to struggle through the airport or endure a flight with the kids, but there’s still packing to be done. In preparation for your family trip, write yourself a detailed packing list to ensure you’ve remembered all the essentials. Aside from clothing for you and the kids, your little ones might also want to bring their favourite cuddly toys, bedtime books, activity books or a plug-in nightlight. Very little ones will need you to remember sippy cups, changing matts, a buggy and a buggy shade, and that’s in addition to preparing to pack beach essentials such as UV wetsuits, sunshades, after sun and lightweight anoraks (as the sun isn’t guaranteed in Britain!). And, it’s also a good idea to invest in some girls, unisex or boys waterproof jackets ahead of your holiday, as well as waterproof trousers and wellies. That way, you’ll still be able to do all the fun holiday activities you’ve planned, even if it’s raining. Your spending budget is going to be determined by the size of your family, the kinds of things you like to do, and overall affordability for your household generally. But, you can keep costs down by pre-booking tickets and opting to go self-catering, so you don’t necessarily need to spend a fortune to have fun. Identify a budget and stick to it, factoring in essentials such as car parking costs, petrol and – perhaps most importantly – ice cream. Finally, as every parent knows, the school summer holidays aren’t just a time to go away: they’re also the time you replenish the stationery drawer, find new PE bags and pencil cases, and buy school uniforms. Make it easier on yourself by getting these kinds of tasks done ahead of going away for your British summer holiday: you’ll find you enjoy your holiday more if you don’t have the back to school admin looming over you, and you’ll also have full choice as the shops will be fully stocked. Having a great yard can be a wonderful privilege. 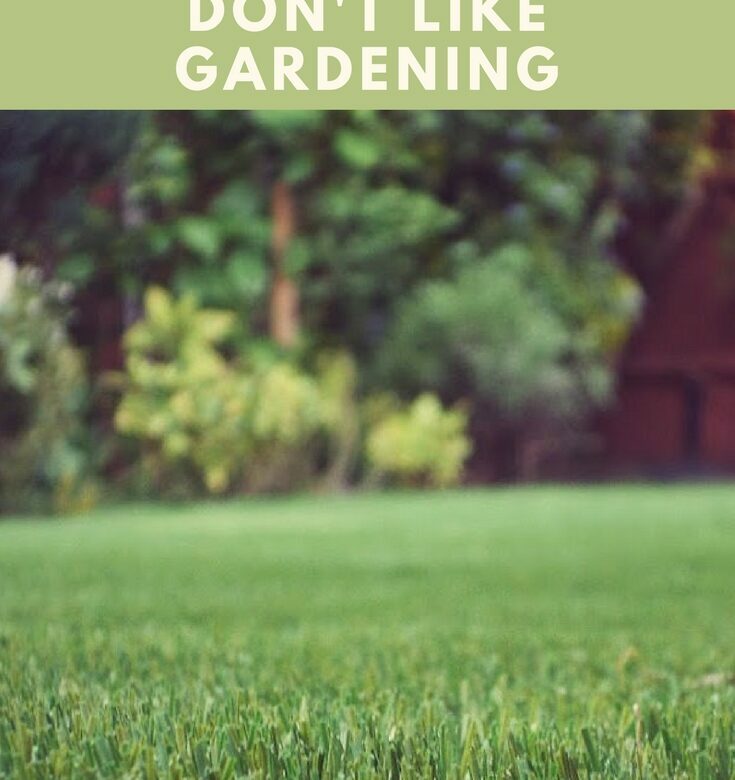 Maintaining your yard and storing all the necessary equipment to have a well-manicured property can be quite a time-consuming endeavor and one that takes a great deal of diligence and persistence. It may be a challenge to find a place to store your lawn mower, edger, weed wacker, and hedge trimmer in your garage so many are resorting to investing in a shed. Sheds can be used for extra storage or as a workshop. 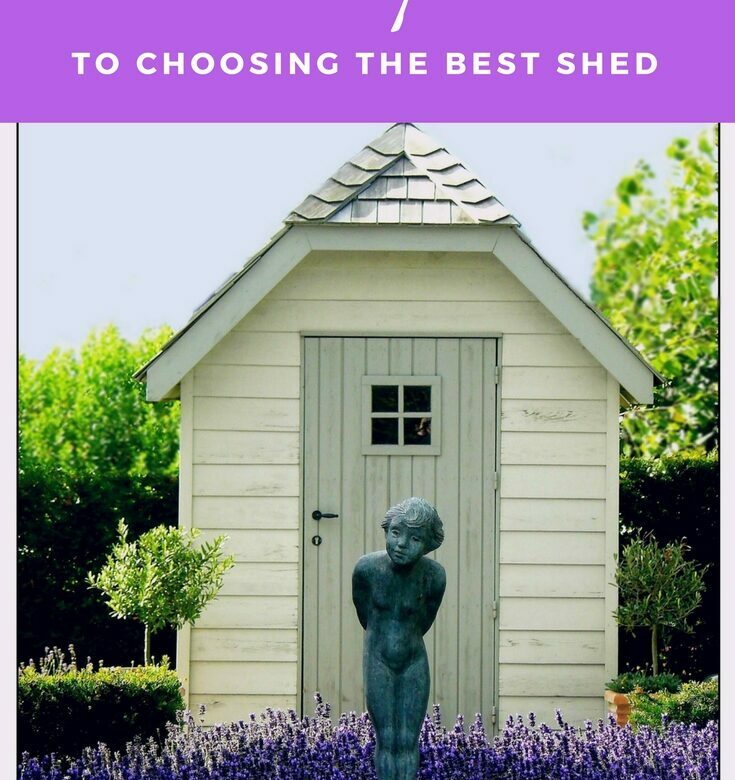 If this sounds like an interesting idea, we have put together some tips on how to choose a shed for your property. Before you begin shopping for a shed it is important to measure your yard and the space in which you want to place it. It would be detrimental to purchase a nice shed and have it delivered only to find out that it does not fit the space that you intended to put it. Measure the space and take the dimensions with you when you go shopping. That way you can confirm with the shed company that the model you are interested in purchasing will in fact fit. After you have determined how much space you have for your shed, you will then need to make a list of all the reasons you need the shed. This will shine a light on all the things you will use your shed for. You may find that you will use your shed for much more than storage and therefore you may need a bigger shed. On the contrary, you may find that you are not going to need as much space as you had once envisioned and you can then invest in a smaller model. It is important, however, to keep in mind that you may want to use the shed in the future so it is always better to get a bit larger than intended. You can always fill the space or find a way to use it. Simultaneously, you will need to determine your budget. Be sure that you have your finances in order and that you do not have to take out a loan to purchase your shed. If you have to take out a loan to buy the shed you have always wanted, be sure that you get a low-interest rate. It can be a drag to pay for a shed over a long period of time. After you have determined your budget, the size of shed you need and how you will use it, you can then begin to research designs. There are many models on the market that can serve as storage or as a workshop. Some have a porch and some just have doors. Choosing a design can be fun but it can also be stressful. Make sure that the design you pick compliments your property and house. For example, if your house is red, you may not want to get a shed that is purple. After you have followed the initial 4 steps, you can now research companies in which to purchase your shed. Companies such as greenhousestores.co.uk have a huge selection and consistently get great reviews from customers because of their high-quality sheds and great customer service. I’ve been reading a book a week, sometimes more than one a week, since the start of the year. I pledged to read a book a week for my Goodreads challenge and I’d been doing really well until I started this book.This book took me three weeks to finish. I hasten to add that it wasn’t because the book wasn’t good. It was excellent and I really enjoyed. The reason it took me so long is that I’ve been so busy these last few weeks. Want To Play? by T.J. Tracy took me three weeks to finish. I hasten to add that it wasn’t because the book wasn’t good. It was excellent and I really enjoyed. The reason it took me so long is that I’ve been so busy these last few weeks. What with all the garden updates, working on the blog and family stuff, I just haven’t had time to sit and read. I gave myself some time off over the weekend just so that I could finally get the book finished! Want To Play? has also been published with the title, Monkeewrench and is the first book in the series. The story centres around a group of people who own a business called, funnily enough, Monkeewrench and a detective called Leo Magozzi. Monkeewrench is a computer game design company. 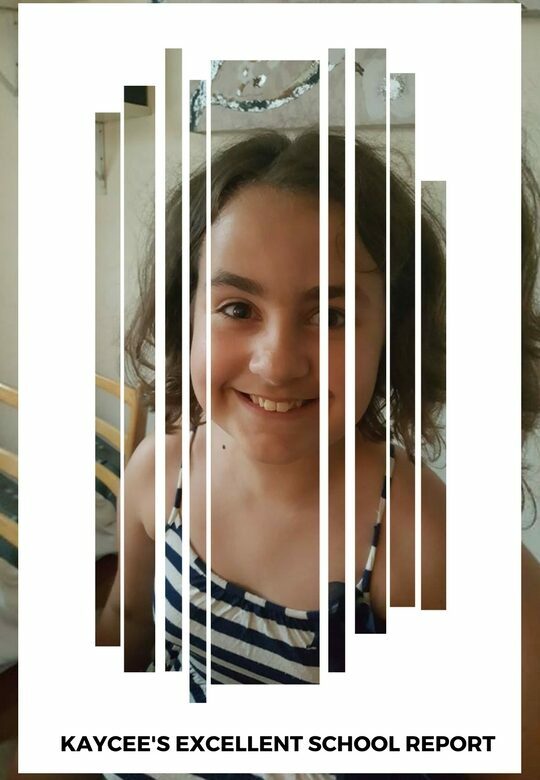 Grace McBride is working on a new serial killer game in which there are 20 murders and you have to find the clues to each murder before moving on to the next one. It’s been released online but only for testing and as such, not all of the levels have been released. Meanwhile, actual people start getting murdered in the same way and same sequence as in the game. Grace notices this and calls the police. Detective Magozzi is the lead on the case and through his investigation, we soon find out that the people from Monkeewrench aren’t all they seem. There’s something in their past that could be connected to the murders. All through the book, I was kept wondering who the killer was. Every time I had to put it down, I got annoyed because I just wanted to keep on reading! I’ve bought some of the others in the series but I was very disappointed to find that I haven’t yet bought book 2! I now have to wait until a copy of Live Bait comes into the charity shop so I can carry on with the series! Derbyshire, particularly the Peak District, is a fantastic place for a walk. There are plenty of trails to explore, all with amazing landscape and rewarding views waiting for you. Of course, Derbyshire walking trails are great for any level of expertise. Even when it is your first walking adventure, you will find many trails to explore in Derbyshire. In this article, we are going to take a look at the top five walks you must try. Let’s get started, shall we? The first spot on our list is the Ladybower Wood Nature Reserve. It is an oak woodland that offers a bit of fun for everyone. Ladybower is also the perfect place to visit if you want to share the walk with your kids or if you simply want to take the dogs out on a lovely day. The valley area in Ladybower is particularly beautiful. It overlooks the Ladybower reservoir and is also known as the home of many forest creatures, including native birds whose songs are mesmerizing to hear. There is a Ladybower Inn if you want to spend the night. Go higher if you’re looking for more challenging trails to explore. Walking is becoming increasingly popular – so much so that it is now one of the recommended Summer Sports Substitutions by Ladbrokes – thanks to trails like Dovedale. Similar to Ladybower, it is a rather relaxing trail to explore on a nice Sunday afternoon. The walk is relatively short too. The trail takes you from Ilam Wood to Dovedale Gorge with minimum gradient and challenges along the way. In fact, the 2.5-mile path is so relaxing, your kids will enjoy it as much as you. We believe that walking is for everyone here at Walks Around Britain, so it’s always pleasing to see trails like Tissington Trail offering good disabled access. The trail itself is very long with over 30 miles of the countryside to explore. There’s another big surprise waiting at Tissington, and that is the old railway engine houses and workshops. The structures are beautiful and will make your next walk at this spot that much more special. Mam Tor or Mother Hill is THE place to visit if you’re a complete beginner. The walk is very rewarding and it will make you want to explore other walking trails once you are done with the hill. Beautiful views and easy footpaths create the perfect combination for a pleasant walk in the morning. Last but certainly not least, we have Bleaklow. The spot is famous for its raw beauty and challenging trails. It is a big loop that takes to you amazing sites, including the crash site of an old Boeing B-29 Superfortress. However, Bleaklow is not a trail you want to explore in bad weather. 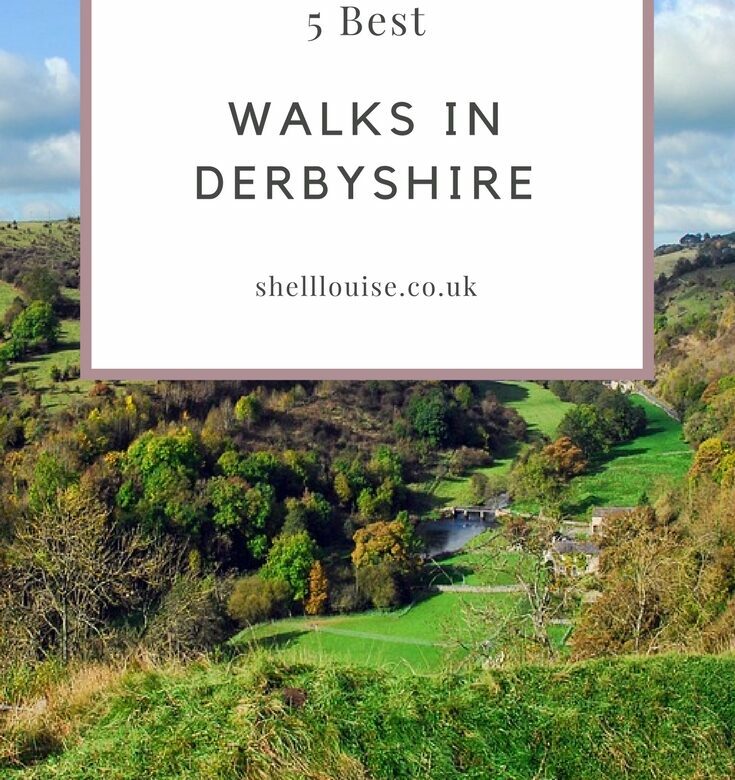 These are the top five walks in Derbyshire that you can explore for an amazing walking experience. Any of these sites are thrilling to try, so plan your next trip to Derbyshire today and enjoy a lovely walk – or several of them – at these sites. Garden Hacks For The Person Who Hates Gardening! Now that we have been experiencing the odd weekend heatwave now and again, more and more of us are heading out into our gardens to host and socialize. If you live in a fairly small house, your garden can be the ideal place to catch up with friends without everyone being tightly packed in – and even if you have room in your home, catching some rays outside can always be a pleasant end to the day! But what if you’re a bit of a garden-phobe, and you haven’t touched your grass or plants in – well, years? Gardening certainly isn’t for everyone. It can be time-consuming, and you have to educate yourself to some extent about plants, soil, and fertilizers. You may not have the time for this, or perhaps it simply doesn’t interest you. But that doesn’t mean to say that you too can’t have a beautiful garden to be proud of. Sure, with summer essentially upon us, you might be in a race against the clock to create a space worth hanging out in. But it IS do-able – even if you’re the least green-fingered person on the planet! Your favorite flower may well be an orchid… but if you think you’re going to be able to grow a selection in your back garden, you may be in for a bit of a surprise! Exotic flowers are notoriously hard to maintain, and should you go ahead and plant them; you may just be created more work for yourself. Opt instead for low-maintenance plants and flowers that don’t require much attention. Evergreen hedges and shrubs can pretty much be left to their own devices all year round, and petunias and crocuses are colorful flowers that tend to be fairly durable. Keeping a pristine lawn can often be harder than it looks. Cutting it can be hard manual labour, especially if your mower leaves much to be desired. Then, it’s a matter of dealing with dead patches, a waterlogged surface, and all manner of weeds that inevitably grow in there. 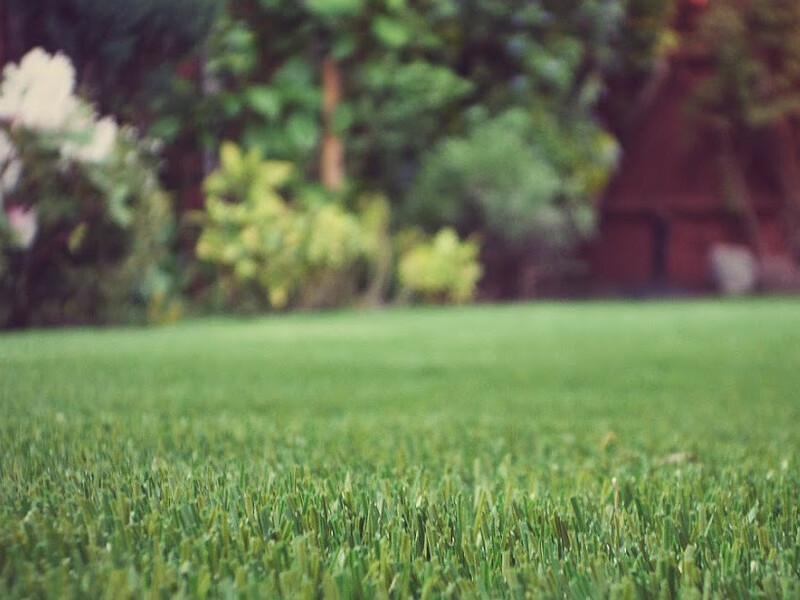 To save you time, money and effort, in the long run, replace your natural lawn with something like LazyLawn Artificial Grass. This is also a perfect option if you have kids, as you can let them run amok playing games in the garden without fear that their activities will damage your lawn. A beautifully decorated garden doesn’t need to be all plants. There are other ways to create an engaging, dynamic space – such as by installing an eye-catching sculpture or a water feature. Water features, in particular, can add a relaxing air of zen to your outside space, and many manufacturers will also install them for you. If socializing outside is what you mainly use your garden for, put down some decking or paving and pitch up a stylish gazebo. Furniture isn’t just meant for inside the home, so invest in some stunning outdoor tables and chairs for an easy way to add character to your garden. 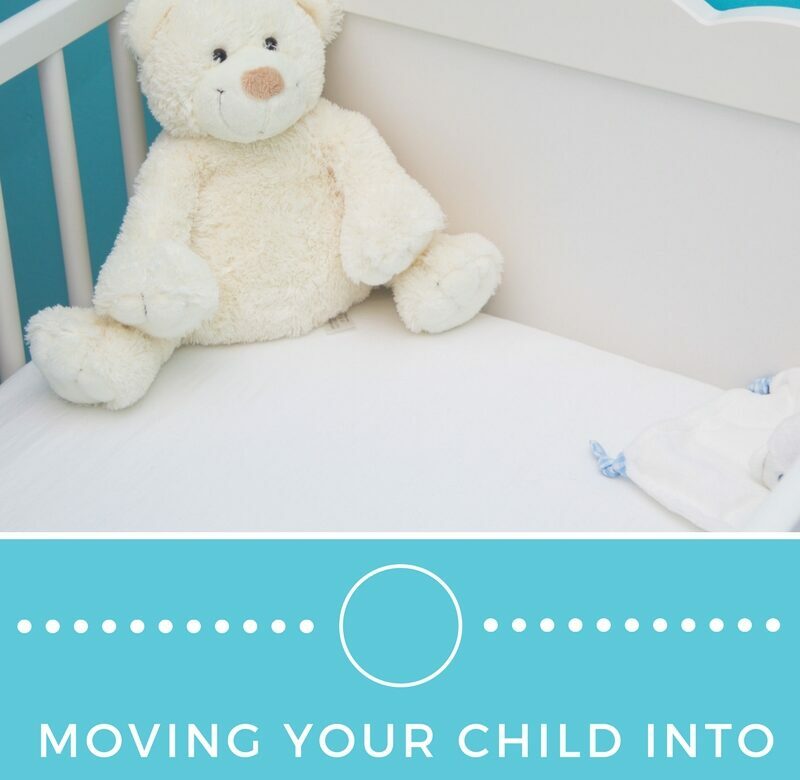 There comes a time when your baby will be ready to move out of your room and into their own. Exactly when you do this is entirely up to you. There are no hard and fast rules. You have to work out what is right for you and your child. What works for one child will not work for another so be flexible and don’t rush it. Here are some tips for making the transition easy and fun for the whole family. Make the room somewhere that you are happy to leave your baby. If you feel positive about it then they will too! This does not require a huge budget. All it takes is a few simple changes to make it a child-friendly environment. Don’t go for décor that is too focused on babies. Remember that they grow very quickly and you could end up having to redecorate very quickly. This takes up a lot of time and money! Go for plain, neutral colours. Pastels and whites work very well and a few pots of emulsion cost very little. Finish the look off with some perfectly made curtains that will complement the décor. There are hundreds of ready-made styles to choose from. This is the ideal option when you have a young child to look after and have limited time. Choose furniture that could have multiple functions. 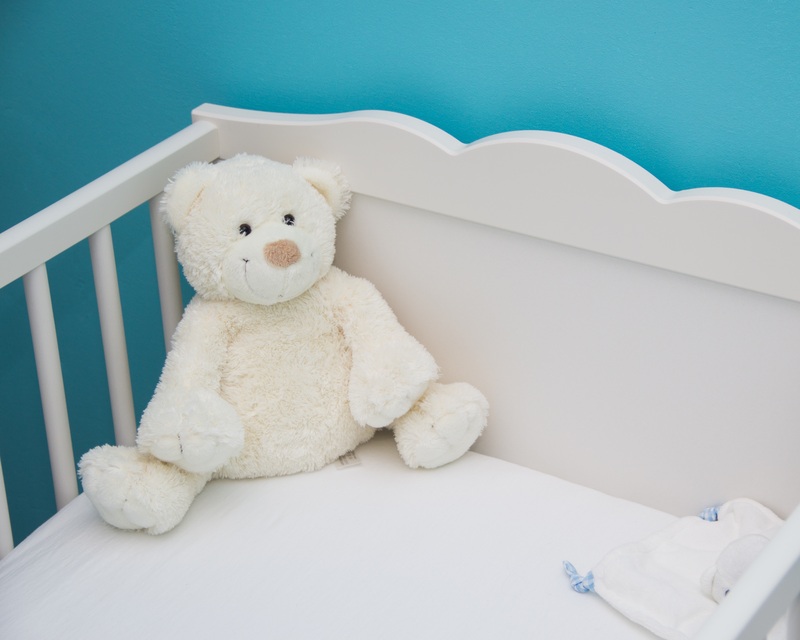 Could you buy a cot/bed that will last for a few years or a changing station that could convert into toy storage? Spend plenty of time in your baby’s new room with them. Go in there to get them dressed after a bath. Read with them in there and play games. Keep all of their toys and clothes in there. Make it somewhere that they are familiar with and where they feel relaxed. Allow them to explore all over the room and in their new bed or cot. Let them climb in and out of it whenever they want. They will soon come to the conclusion that is a safe and fun place to be. Start by using the room for daytime naps. The atmosphere around daytime naps is much more relaxed. You and your child are not over-tired, it is not dark and emotions are not running so high! Use exactly the same routine for the nap as you did for the old room and don’t forget their usual toy or comforter. Only you will know when that is. It is something that you may want to discuss with your partner. If you are both in favour of the move it will work better. It will not help if you are sending mixed messages to your child. However, there are occasions when it would not be advisable to make the transition. This is when you child is ill, when you have just moved into a new house or when a new sibling has just arrived! As you may know, I volunteer in the book department at my local St Barnabas charity shop. Every week I change the display and yesterday I made some posters for the next few week’s displays. Today I’m doing an author spotlight display on Margaret Dickinson. She’s a Lincolnshire lady so I thought it was about time we showcased her work! I’ve read some of her books (before I changed from historical fiction to thrillers) and I really enjoyed them. The display for June 30th is called – There’s a book for that! The display will consist of How-To books. The week after, I’m doing another creative crafts display because we’ve had lots of craft items donated recently. I’ll be putting the classics on display the following week. You can’t beat the classics! The week after will be a young adult fiction display. We get lots of donations of YA novels so it should be a great display. I’m looking forward to the next book display. It’s called – An Enchanting Read and I’ve been saving up all the books on witches, wizards and magic that have been donated for the last few months. The last one I’ve done for now is called – Feed your brain, grab a bite to read. It’s just going to be a mixed display of fiction and non-fiction books.